This silent meditation retreat is for anyone with a desire to go deeper in their practice, from beginners to experienced meditators. We will be sitting and walking out on the land, opening to nature as a practice of enjoyment, connection, and appreciation. 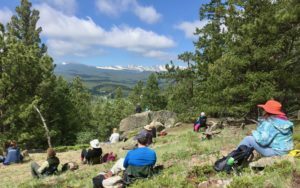 The retreat will include instructions in sitting and walking/hiking meditation, Dharma talks, and practice discussions with the teachers. Lodging options include camping, shared, or private rooms. Delicious vegetarian meals are provided. The Inner and Outer Nature retreats includes deep nature practice, immersing in the natural world, connecting our inner nature with outer nature, and dissolving separation. Each day includes plentiful time for sitting, hiking/walking meditation, as well as instruction in nature meditation, Dharma talks, and individual and group practice discussions. There is also a two day optional solo. Combining both retreats into a two week retreat is encouraged. The Inner and Outer Nature retreat includes deep nature practice, immersing in the natural world, connecting our inner nature with outer nature, and dissolving separation. Each day includes plentiful time for sitting, hiking/walking meditation, as well as instruction in nature meditation, Dharma talks, and individual and group practice discussions. 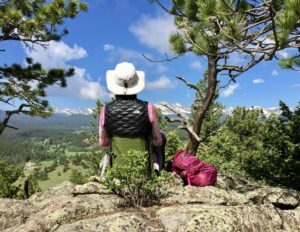 There will be two optional opportunities for solo backpacking practice. The Inner and Outer Nature retreats include deep nature practice, immersing in the natural world, connecting our inner nature with outer nature, and dissolving separation. Each day includes plentiful time for sitting, hiking/walking meditation, as well as instruction in nature meditation, Dharma talks, and individual and group practice discussions. There is also a three day optional solo. Combining both retreats into a two week retreat is encouraged. Early bird pricing available until June 10th. These frequently quoted phrases by the 13th Century Zen master Dogen evoke a feeling of embodied freedom, and form the basis of this retreat. So often we live as though we are separate from nature when, in fact, we are nature. 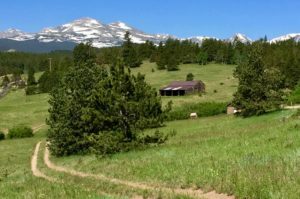 Most of this retreat will be outside: sitting, walking, and being on the land. The exquisite natural beauty of the location will provide all the support needed to live into Dogen's words.